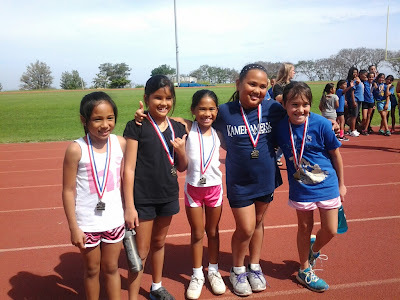 This morning we went to help out and watch the Upcountry Elementary Track Meet. 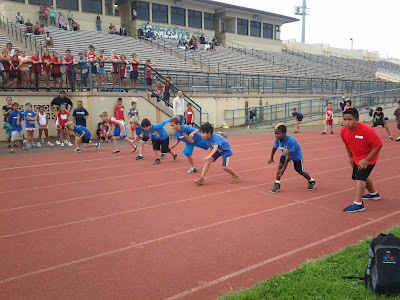 The meet started with the field events; broad jump, and the softball throw for the participating boys and girls in third, fourth, and fifth grade. Then it was time for the track events: the 30 meter dash followed by the 60 meters. Most of the children have never encountered a starting gun, and the starter was sure to explain how the start would work. He helped them to not look at him, but to look straight ahead to the finish line. It was so exciting to watch all of these events. The raw ability, and competitiveness in these children comes from deep within, and I am excited for the future of these athletes. After the track meet we were off to enter our collaborative art piece to the Art of Trash exhibit. Matt and I used the boars skull we have had for over a year now, and put a mosaic of ceramics, glass, beads, and shells on the skull. It turned out great. Take a look at the post up on holtongallery.com here. There was an article with a couple of photos in the Maui News. Take a look at the article here. 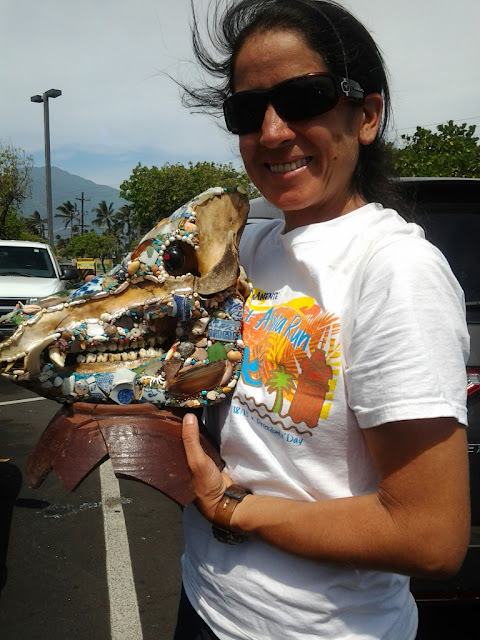 All in all another great day on Maui filled with exciting athletic performances, and expression through artwork. I love watching people express themselves in different ways, and expressing my own feelings too. Life is...good.